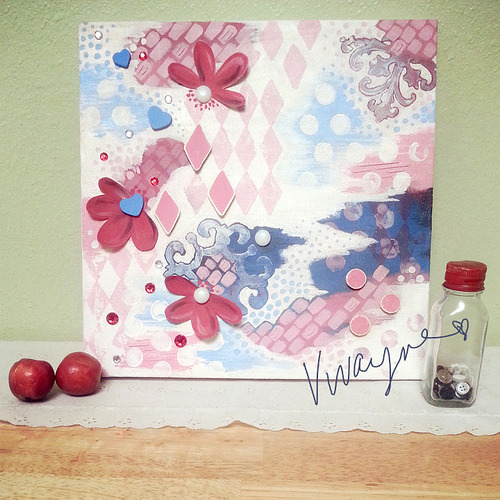 Inspired to just go with the flow, this mixed media painting reflects my inner scrapbooker. Available for License. Contact Me.